No carve centerpieces for Thanksgiving that doesn’t require your Carving tools. I know this is way overdue and Thanksgiving is over, but I really wanted to share this and maybe, we can use some of the ideas for our DIY Christmas designs. Thanksgiving is almost near and yes, it is one of my favorite holidays! I guess, I love all the holidays where I can eat a lot. The pumpkin pie, the turkey, cranberry sauce, squash soup, and mashed potatoes! Yummy! However, thanksgiving is not just about pigging out until you can’t move anymore. Thanksgiving is a holiday where it’s best spent with the people you love, the people who made a difference in your life, be thankful about the blessings we have received, and to be thankful about the obstacles that came and made us stronger. Thanksgiving today was a lot different as to how it was being celebrated before but the concept still remains and that is to appreciate and be thankful of all the blessings we have received. But, one of the things I love about Thanksgiving is the chance to decorate your home by making it a lot cozier, warm, and to generally set the mood for Thanksgiving. 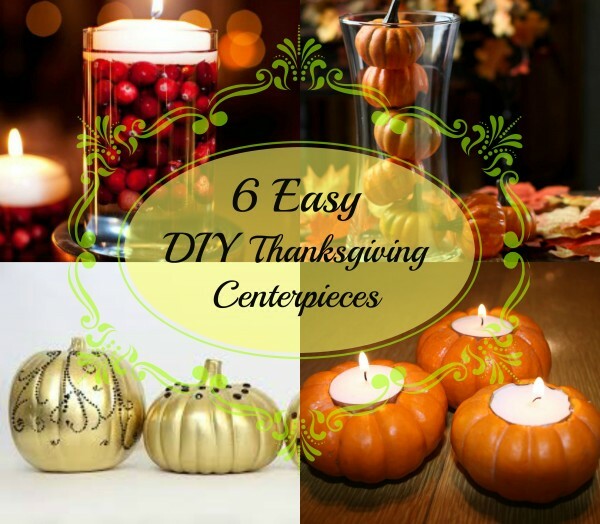 I decided to do a list of the 6 DIY No- Carve Thanksgiving Centerpieces for this upcoming Holliday season. There might be one or two where we need to use a knife, but you can skip that f you are not comfortable doing it. Here are the 6 Easy DIY No-Carve Thanksgiving Centerpieces. Enjoy! Spread the newspaper over your working area. Make sure that it’s large enough to cover the whole area where you will be spray painting the pumpkins. Spray paint the pumpkin or paint it accordingly. Coat the pumpkin until you reach the desired color and choose multiple metallic colors. Finally, let it dry over the newspaper. Accessories like ribbons, leaves, etc. Gather all the materials pumpkin, candle, and your carving tool or knife. Measure the candle over the pumpkin and have it traced using a pen or using the knife. 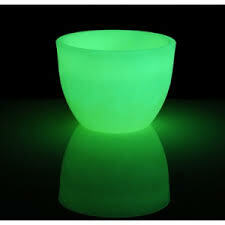 Remove the portion where your candle will be inserted and should be deep enough to hold and balance your tall candle. Or you can just buy a candle shaped like a pumpkin! Just kidding! It’ll be nice to display something that you actually made. Summer DIY Projects that you and your kids can enjoy. The best time of the year to do a lot of repainting, fixing and upgrading. Skies the limit if you will be just creative. Summer project doesn’t always have to be fixing things. You can do some crafts, arts, or just about anything! Something that adults and kids would love! Plus, This is the best time of the year to spend some quality time outside. Appreciate the trees, the flowers, and the bees or butterflies. Get that natural tan that you always want, but don’t forget your sunblock. Let’s have your backyard ready for some summer fun with these Summer DIY projects! I know this is not exactly what you wanted to see for number 1 for a summer DIY project. Come on! You’ll need an effort to make your juice right? But the point is, if you will be working alone or with your kids outside, it will be nice to have snacks and cold juice waiting by the shade. We do not want anyone getting dehydrated. 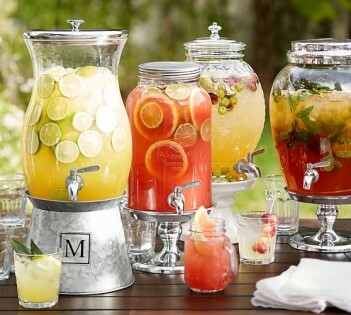 Plus, these containers will absolutely look good for a lemonade stand. Click here for DIY yummy organic juice recipes. This is something a DIY project that kids will absolutely enjoy! Have your cushions ready, whip some popcorn, chip’s, and drinks.Watching their favorite movies under the stars, comfortable and feeling the night breeze.Also, don’t forget your OFF! lotion. After watching, you can do some stargazing. Click here for DIY tutorial. I like everything that glows! 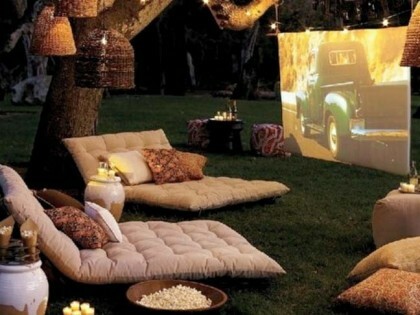 This DIY project is just to add that extra something in your backyard. 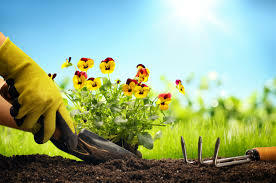 Have your kids help you plant a flower in the pot and wait for night time to see your pot glow! You can also do a DIY glow in the dark rocks to light your path without using electricity. Click here for the DIY tutorial. Having an afternoon nap at your backyard can be relaxing and have a healing effect. Imagine breathing only the fresh air while you sleep! Check around the house, in your garage or storage area and turn it to a day bed. 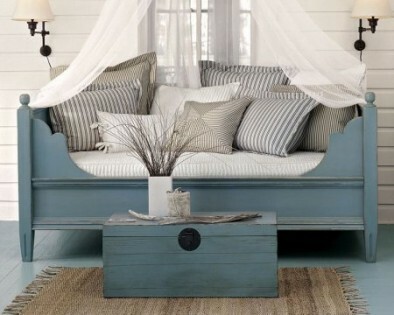 I even saw a day bed using 4 old chairs and it’s gorgeous! Click here for DIY tutorial. Playing twister by the grass can be the most wonderful feeling ever! Bare feet touching the grass, rolling and rough playing by the grass during summer is the fun part of all. With this DIY, you don’t really have to worry slipping while you play twister. I believe this is one of the safe places you can play this game. Click here for the DIY tutorial. For kids, summer is all about fun, making memories and experience. Have them help you with some projects, big or small they will absolutely appreciate it. Get them involve with this DIY projects. Low Cost Living Room Make Over! Living room makeover without spending too much. Keep your Living room up to date, fresh and ready to welcome guests! Keeping your living room up to date can cost you a lot. If we will follow the living room trends that we keep on seeing in the magazines right now, definitely our savings account will go sour. If you know what I mean! A makeover doesn’t have to cost as much… All we need is our creativity, time, effort and help to complete our living room makeover! Now, take your time and look at your living room, what changes would you like to make? Is it always cluttered? Is everything in your living room out of date? Or maybe walls needs some fixing or in need of new paint? I know! There are a lot of things that you would like to change in your living room. Creativity is the key to keeping your living room up to date. Let’s have a look at some ways as to how we can keep our living room up to date! 1. Fix the Broken wall. Nobody wants to go home and always see the cracks or the broken wall in your living room. A broken wall is an eyesore and a downer. Also, if we want our living room updated… A broken wall doesn’t count. We don’t really have to change the whole wall and it doesn’t cost much to have the walls in the living room repaired. You can do it yourself or by your husband. 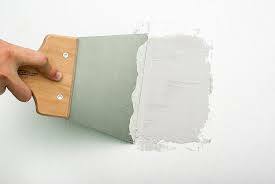 Click here for steps on fixing a drywall. 2. Repaint your Living room. 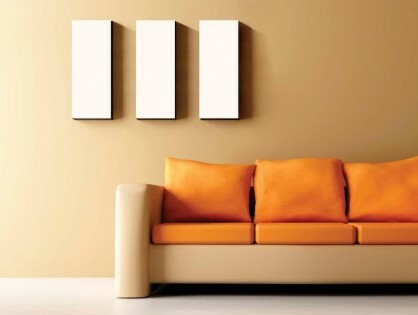 Updating the paint in your wall can give you that fresh and updated look for your living room. You just have to be creative. 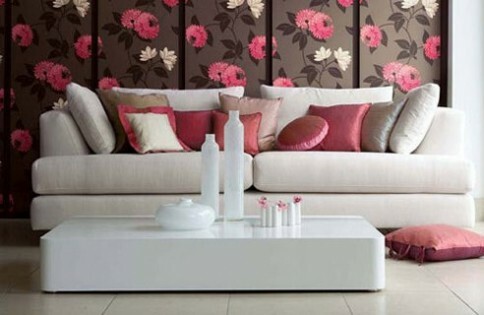 Check other websites for the new color trend for a living room. But, of course, choose the color that you really like for your living room. We don’t really have to follow the trend. We need the color that your stuff can blend well and what you really like. Click here for a DIY wall painting tutorial. If you have a fireplace, make it the focal point of your living room. Don’t be scared to move your furniture around! Picture your living room from one standpoint. Does it look good or not? If it doesn’t move it again! It’s tiring but rewarding! Also, it’s a good workout! If you have run out of ideas or before you even start… check some websites with cool living room ideas. I always say this… Less is More! Less stuff gives you more space. If you don’t need it, throw or donate it. I know it’s hard to throw things away. 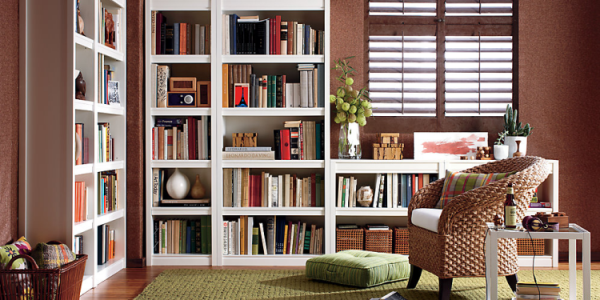 However… A Clutter-free environment gives you that whole new good vibe of your living room! It makes you feel refreshed and happy! But if you cannot part with your stuff, please… organize it. There some shelves that you can assemble to keep your things organized. Add some color! Complete the look of your living room. Buy new pillows that can compliment your newly painted walls! Add some art. You can just buy a frame and have your kids do the artwork. Get a vase that you are no longer using and clean it. Don’t forget to add an indoor plant. Remember! Keep it simple.